fixing a weird product design decision with a little hockey tape. i’ve been borrowing odin’s yi action camera to capture 2K video behind the net using a suction cup mount on the glass. works great ( someday i might get around to posting some of the video )! 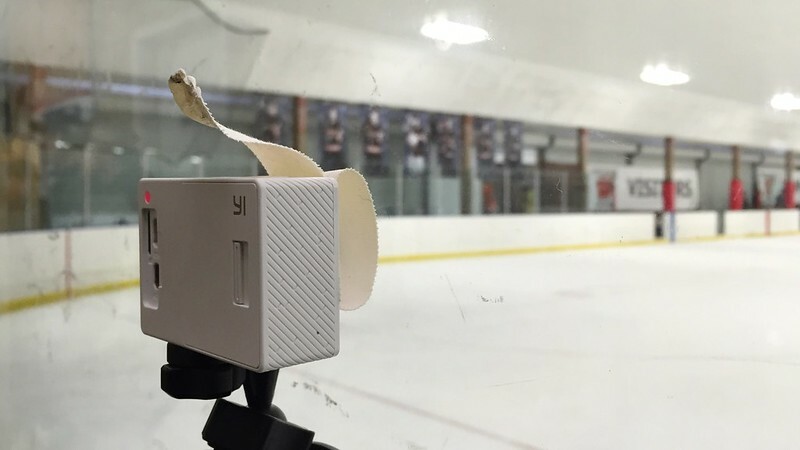 except someone on the yi product team must not play hockey because there’s an light on power button on the front of the camera that blinks when it’s recording which reflects off the glass and is super annoying in the recorded video. 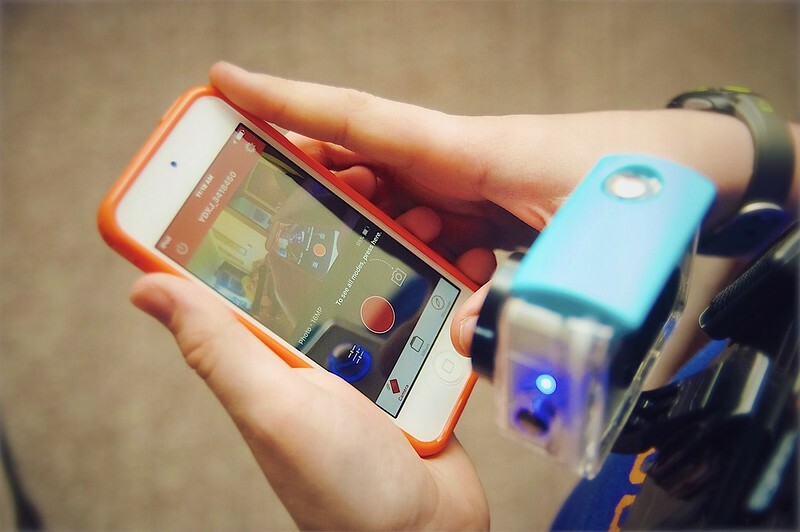 it’s a curious product design decision since there’s light on the back of camera also blinks when it’s recording. why do you even need a blinking light on the front of the camera? in addition to being annoying, it seems like an unnecessary drain on the battery. hi. ho. nothing a little hockey tape can’t fix. i see a centriphone rig in my future. so this guy rigged up a way to swing a iPhone around his head that takes some pretty interesting shots. matt haughey has been playing around with a simple rig and his go pro to get a similar effect and i think odin and i are going to have to give it a go with his yi action camera.